While I get a lot of my recommendations word of mouth, sometimes you find some of the best places at random — while GPS-surfing on my Garmin during a recent night out in the Montclair/Bloomfield/West Orange area, I came across a listing for Mark and Julie’s, a small, family-run independent ice cream shop in West Orange. 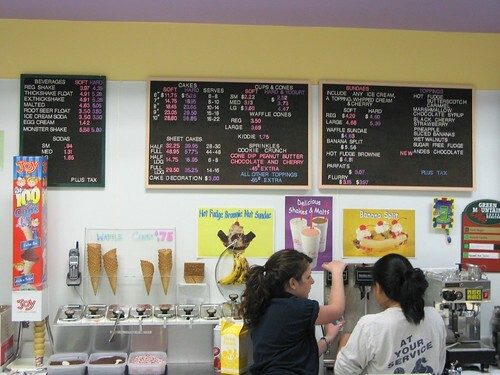 Mark and Julie have been serving super-premium home-made ice cream for 13 years now in their West Orange store, which is located in a very Orthodox Jewish part of town — most of the local food businesses are Kosher. Their shop offers over 30 flavors daily (which change according to availability of fresh ingredients) and the ice cream is made with Kosher cream. Mark Orenstein is also highly skilled with ice cream decoration and can make any special cake to order with your favorite loved one’s cartoon character or theme. 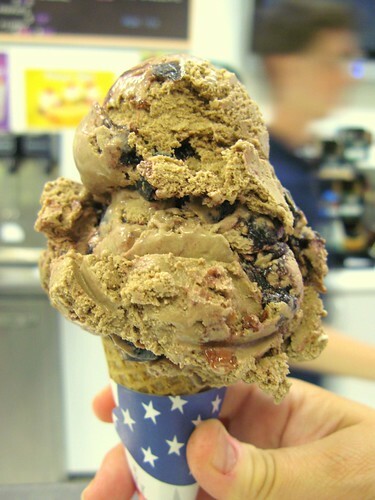 While Mark and Julie’s store doesn’t have the old-time character or the heritage of the more famous parlors in the area, such as Holsten’s or Applegate Farm, the sheer quality and taste of their ice cream more than makes up for this shortcoming, and I recommend it highly. You also couldn’t ask for nicer people than Mark and Julie Orenstein either. 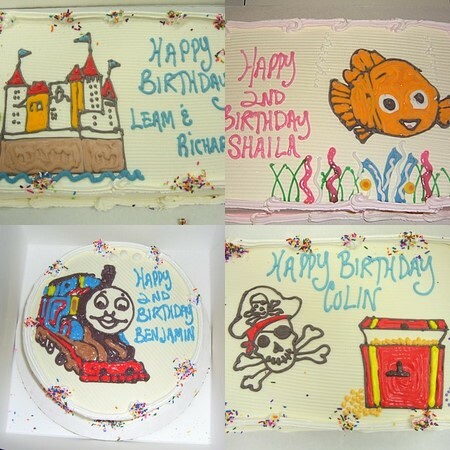 Some examples of Mark’s custom Ice Cream cakes. 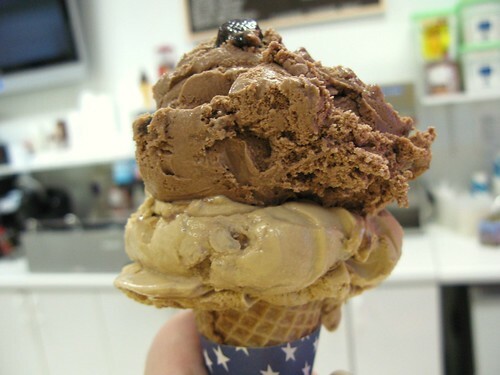 A combo cone of Chocolate Raspberry Truffle and Royal Coffee. The coffee flavor is one of the best I’ve ever had, and the chocolate with the raspberry chocolate truffle candy was excellent as well. Because this is such high quality ice cream and has very little air content, it melts faster than other ice creams, so be sure to eat it quickly! Julie demonstrating proper cone eating technique. Crowds packed in on a balmy August Friday evening. 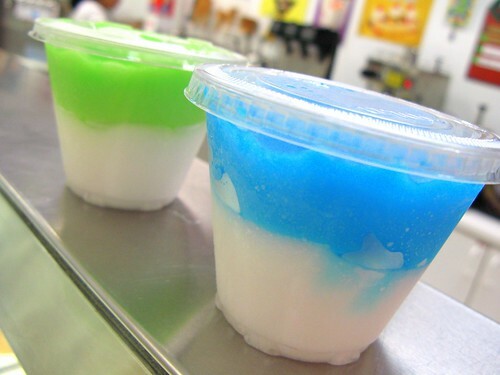 The store also makes home-made Italian ices. Shown here are raspberry/lemon and green apple/lemon flavors. This entry was posted on Sunday, June 3rd, 2007 at 1:50 pm and is filed under Food, General, New Jersey. You can follow any responses to this entry through the RSS 2.0 feed. You can leave a response, or trackback from your own site. I tottally agree. mark and Julie’s ice cream is SOOO good. Better than Edy’s- which I love!! Julie and Mark are so nice and friendly too! They make you feel like one of tier family! 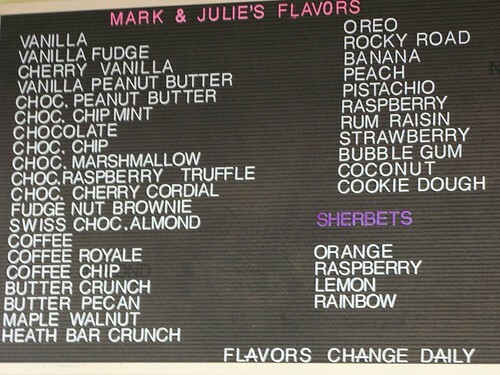 I’m lucky to have been treated to Mark & Julie’s ice cream – several flavors and loved every one. Too bad I live too far from their store but hoping they’ll visit me again so I can delight in the ice cream and their good company. 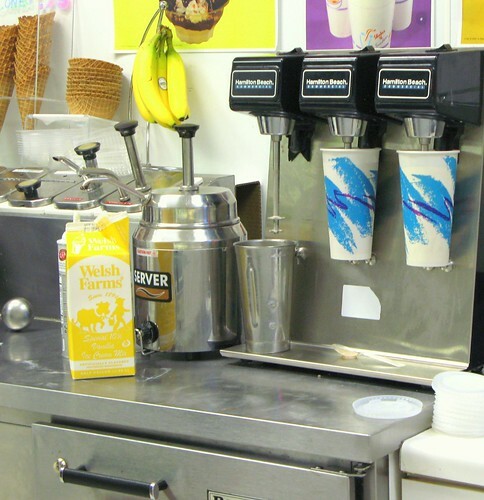 Great great ice cream there. Rich, thick and far better than the fancier more hyped places in the area. If you are having dinner in Montclair or Verona, its an easy drive to their storefront in West Orange, and well worth it. Mark and Julie run a great ice cream shop and they are lovely people too. We had our daughter’s birthday party there a few years ago and they were wonderful to work with. I love their coffee and chocolate flavors. If they have the chocolate with the raspberry truffle things you have to get it. It’s wonderful. Mark! did you go to Madison Jr. High in North Hollywood?? 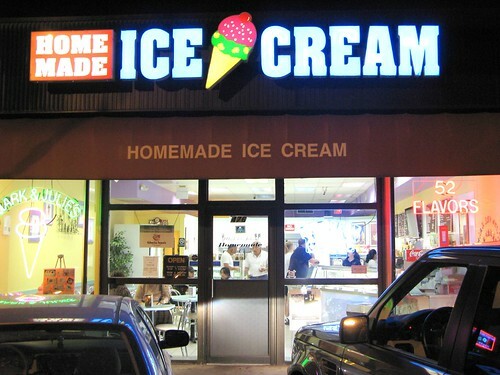 The best ice cream in the New Jersey metro area, hands down. You can taste the quality.